ARUSHA – “We are now committed to tackling the four major cost pushers; electricity, transport, labour, and money. We are building dams, constructing railways even though our biggest challenge is the cost of finance–we must fix that. Our labour is largely affordable, President Museveni has said. Museveni was speaking at the 20th Ordinary Summit of the East African Community (EAC) Heads of State in Arusha, Tanzania. The chairmanship is on a rotational basis. Kenya assumed the rapporteurship role for all EAC policy-related meetings. The Heads of State also tasked President Museveni to oversee the process of turning the bloc into a political federation. In this role, Mr. Museveni will offer political guidance to a group of mainly constitutional experts, nominated by member states, to expedite the process. This group is expected to present an interim report within seven months. “I also thank my colleagues for entrusting me with the duty of supervising the process of building a political confederation. 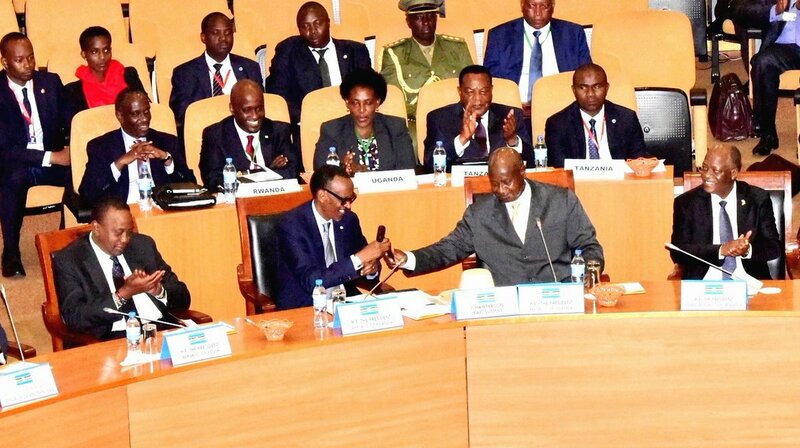 I commit to ensuring the team of experts chosen by the EAC to handle this task delivers on time,” Museveni said in after the meeting. Museveni was given the task in May 2017. Partner states were directed to fulfill their financial obligations to the Community in a timely manner following the review of the financial status. The Summit directed that verification for admission of Somalia into the EAC be undertaken and reported on in the next summit. The daylong meeting brought together leaders from all six member states of the EAC to discuss the Community’s progress in key sectors, including integration.